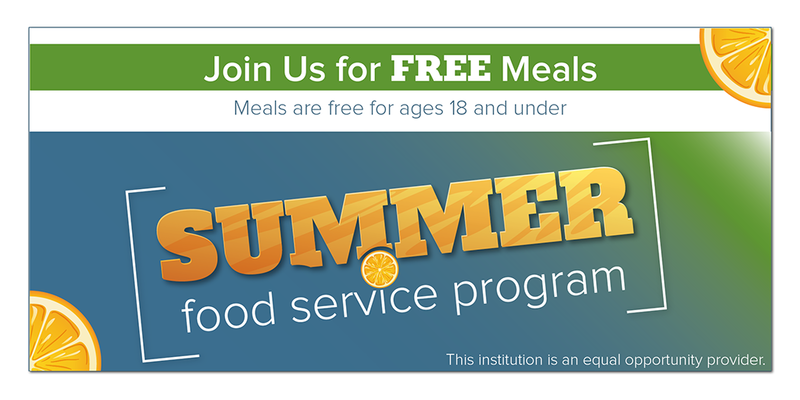 Offering meals for the Summer Food Service Program is a great way to ensure that no child goes hungry this summer. But how do you make sure that people are aware of your SFSP site? There are many forms of outreach that can help you gain exposure. Let’s look at a few different ways to reach people through marketing. Printed flyers and postcards are always a great way to get the word out about your SFSP site this summer. You can mail these out to the local communities or partner with local businesses. Request businesses to include your marketing on bulletin boards or even in their weekly newsletters. Some great places to start with would be local churches, coffee shops, grocery stores, etc. Another great resource is the local media. You can reach out to local tv and radio stations to include a Public Service Announcement (PSA) about your SFSP site in their publications. Also, working with your local mayor or city council is another great way to get the community aware, and involved, in your cause. As always, using your website and social media are affordable and effective ways to spread your message. You can include details about your summer program on a landing page of your website and link to that from your social media accounts. You can also use email marketing to reach more members of the community. A little marketing tip—be sure to keep your message and design consistent across all of your media channels (print, digital, radio, etc) Having bright, fun and engaging photos that relate to your program is another great way to draw attention to your marketing. Be sure to include important details, like when and where people can find your program, and how they can reach you with any questions. You can also expand, and target, the reach of your message with paid advertising through FaceBook or Google AdWords. This will be an extra expense, but it will help ensure that your message is getting to the right audience. Are you looking for some graphics to promote your SFSP site? Download our social media graphic below and post it to your Facebook or Twitter page today! A great way to start the summer, and to bring together all of your marketing efforts, is to host a kick-off event at your SFSP sites. You can invite people through printed mailers and create social media events. Be sure to invite the local media! This is a great way to enhance the awareness of your program, as well as the let the community meet you and your staff.